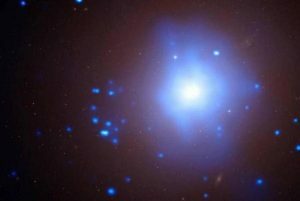 TELESCOPES SEE A BLINDING FLASH. IS THIS THE BEGINNING OF THE EVENT? I was asked this question the other day and had no idea what the person was talking about. I was then sent a link to a video about it (I’ll attach the video at the end of this post). I appreciate questions like these because I’m not really paying attention to anything anymore and this gives me a chance to examine what is circulating at the moment. I’ve also pulled back on my posting until the book is out because there are SO MANY people sharing their information that I don’t see benefit in rehashing what you can find elsewhere. In this discussion about the energy, I am like everyone else out there without a PhD and a peer reviewed paper published in a scientific journal; I am providing a personal discussion of what I see from my perspective. Is my information correct? That is where personal discernment becomes an important tool and one that each of you must actively cultivate. Look back through our timeline and you can see decision points where history would be different had the general population used critical discernment rather than blindly following the narrative. As we continue to wake up from our collective slumber this is accelerating. We no longer swallow what is fed to us just because an approved source said it. This is a crucial step toward the collective awakening. So it seems that telescopes in Hawaii observed a huge flash of light that began and propagated different than anything else they have seen before. Speculation about what it is abounds and I am going to ask the question in my next session. When I ask questions like this in a session I am taken and literally shown what is occurring. I can’t really explain how that happens and have it make sense to everyone, but it is pretty damn cool. I will share whatever the answer is when I get it. Until then allow me to share what this flash is not. I think everyone reading this accepts that consciousness exists beyond the brain and that some portion of our individuality continues after our bodies expire. Most religions also embrace this concept in one form or another. Everyone also gets the underlying concepts of contrast between light and dark, good and bad, positive and negative. These energetic actions impact our consciousness and the same religions that believe in life after death also believe that your actions in life impact you after death. When viewed from this level we begin to see foundational understandings that have been built upon to create our contemporary religions. What was subsequently built upon those foundations of truth is a matter of who was building, and for what purpose. From this generic acceptance we can assume that there is some structure existing beyond the body that comprises consciousness, but we cannot see it in our material reality. There are also energetic impacts upon this structure that somehow change it, yet these are also unobservable. Moving on to science we see that quantum theories have progressed to the point that we know there is an energy existing within the fabric of the Universe. Regardless of what you call it; Dark Energy, Dark Matter, or Ether, this unseen and unquantifiable energy is now accepted and openly discussed. I will take that one step further and suggest that we exist within a Universal Consciousness and what we cannot yet identify is the energy of consciousness. Whether it is individual consciousness or the dark matter of Universal Consciousness, we accept it exists but cannot quantify it because it is not attached to a material construct. If you combine the concepts of science and religion you easily Segway into the discussions in the awakening community that we are all facets of a singular consciousness. We now move on to the ‘Wave’ or the ‘Event’ that is currently being discussed (I am going to paraphrase because this is a much deeper discussion of energy than I want to include here). In almost all of the discussions it is described as an energy that is going immerse you in the feelings of total love as all the negative is dissolved. The construct of polarity is being phased out because it upsets the energy balance by propagating negativity that is unable to self-reconcile. The effort required to manage and constrain it are beyond the value the experiences provide. As such it has been deemed “An inefficient construct”. The event or wave, is a pulse of creational energy that will effect the final realignment of any remnants of polarity as the construct ends forever. If we are individual facets of the same consciousness, existing within the donor consciousness, it then follows that distance does not exist. As embodied consciousness we are conditioned to expect a distance between objects. Even at the smallest observable constituents of matter smashed together at CERN, we identify the components as they exist separate from each other. However, consciousness does not operate or abide by the rules of the material because it does not exist within the material. The material exists within consciousness and has been created from it. Did you move seamlessly from one thought to the other or did you visualize yourself transporting your consciousness through time and space from one experience to the other? This is exactly what happens within the Universal consciousness and is the foundation of the concept that “Everything is happening at once”. The Universal seat of consciousness transmits the energy to the toroidal opening of the Galactic Consciousness. It will travel to the Galactic seat of consciousness and be transmitted to the toroidal openings of the System Consciousnesses where polarity exists. The System Consciousness will push this energy through its seat of consciousness which is where the energy stars reside. The energy will be of sufficient magnitude to overpower and neutralize any negative polarity that it encounters but of low enough yield to preserve beneficial experiences. This is why it has not occurred yet; the magnitude required is still too high. This why the awakening community is working so hard, we are moving the ratio of polarity to within the acceptable level for the pulse to occur. The first sign consciousness incarnated on Earth will see is that the Sun is doing something it has never done before in recorded history. What each person ‘sees’ and feels as the pulse impacts them is going to depend upon what they expect and the level of polarity that they contain within their consciousness. What happens after the pulse? That of course is up to the individual and is covered under my previous post of three choices.